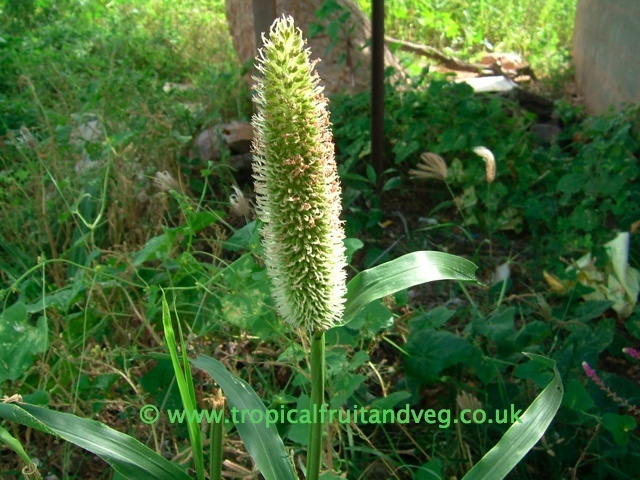 Millet is a cereal crop that grows 1 to 3 metres in height. The solid stems are densely hairy and usually 2 cm in diameter. Leaves are long, scabrous, rather slender, and may be smooth or have hairy surfaces and are light green. The seed heads or inflorescence are 2 to 3 cm wide and up to 20 cm long. Each head produces over 1000 seeds. The seeds are round and very small. similar in size to couscous. 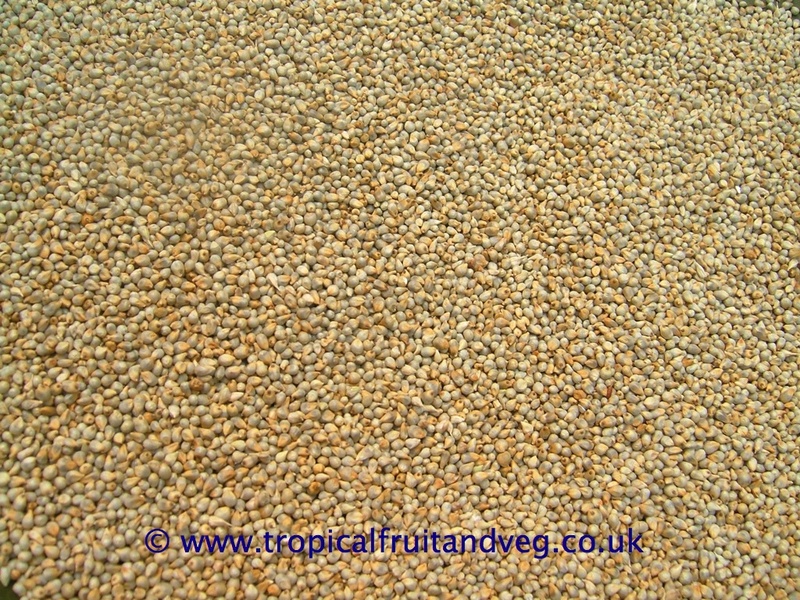 Millet is the staple food of the diet of many people in Africa, India and China. It does not contain any gluten so is used to make various type of flatbreads and sometimes mixed with other flour like wheat to make it more palatable. It is seen as food for the poor. In Western European countries it is used as bird feed. Millet prefers hot climates with short rainfall periods. Millet grows well on poorly fertilised and dry soils, it has a low moisture requirement and do not do well in waterlogged soils. From seed as with other grain and cereal crops.